Chickweed plant, Stellaria media, is a tasty as a salad green. If eaten daily will assist in weight reduction programs. Very useful in the maintenance of clear complexion and the management of skin cancers. 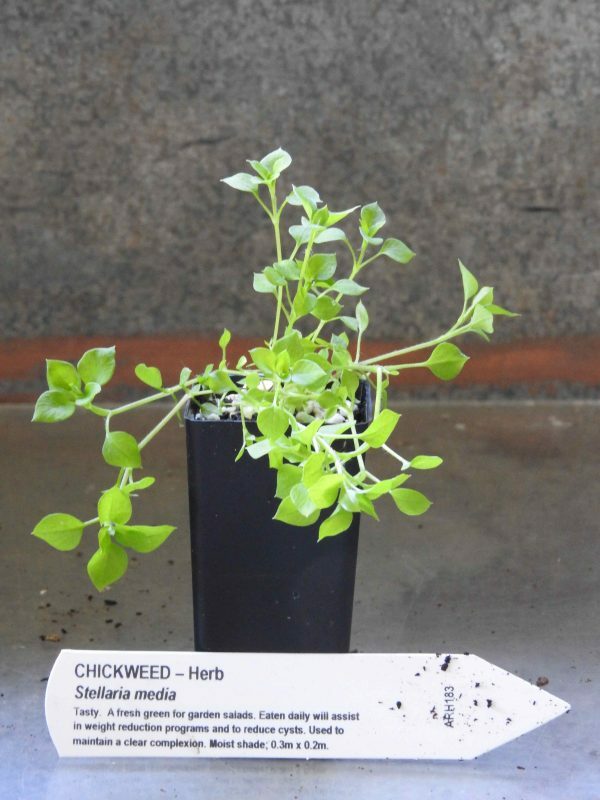 Chickweed plant is native to northern Europe and prefers moist well- drained soils in a part shaded position. Small star shaped flowers appear all year. Frost resistant but drought tender. Annual or biennial plant, growing to 0.3m x 0.2m. Volunteers freely. Be the first to review “Chickweed, plant” Click here to cancel reply.